A hamster or guinea pig in a cage is one thing, but a rodent infestation is another. Fortunately, there are companies that specialize in rodent control serving San Jose and Pleasanton, and they would be happy to help you out with your rodent troubles. 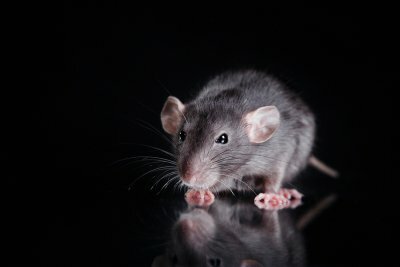 These companies can use rodent exclusion methods and materials to remove rodents from your home and prevent them from returning. Read on if you are interested in understanding how rodent exclusion works. Rodents are known for being sneaky and invading your house without being seen, but homeowners may not realize the extent of their slyness. Rats and mice have impressive physical abilities that allow them to seemingly defy gravity. They can climb both horizontally and vertically, and they can use cables, trees, and electrical wires to grant themselves access to various locations. It can be difficult to keep rodents with these types of abilities out of your building, which is why it is important to understand what they are capable of . Recognizing the tiny holes that they can fit their bodies through helps pest control professionals to seal off the areas that homeowners might not think are problematic. Excluding rodents from your living space often starts from the inside of the house. You and your rodent control specialist can walk around the interior of your home and identify any cracks, holes, or openings that can allow mice and rats inside. It is important to repair any windows that have holes, missing panes, or rips in their screens. It is also helpful to add door sweeps to any exterior doors so that rodents cannot sneak underneath them. The exterior of your home also provides areas where rodents can seek shelter until they work their way into your home. Your rodent control professionals can use caulk or other sealants to seal off cracks in your exterior walls, and they can block off gutters with wire mesh. It is also wise to add grates to your piping so that rats and mice cannot sneak into your home through your plumbing system.